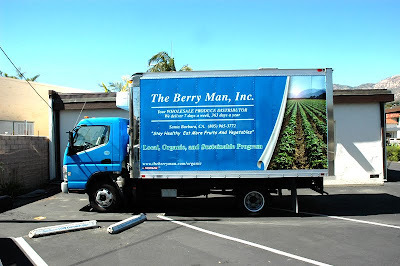 This graphic was created by Berry Man to give the illusion that part of the truck is being peeled away to reveal a sunny field full of fresh produce. We think it came out great! 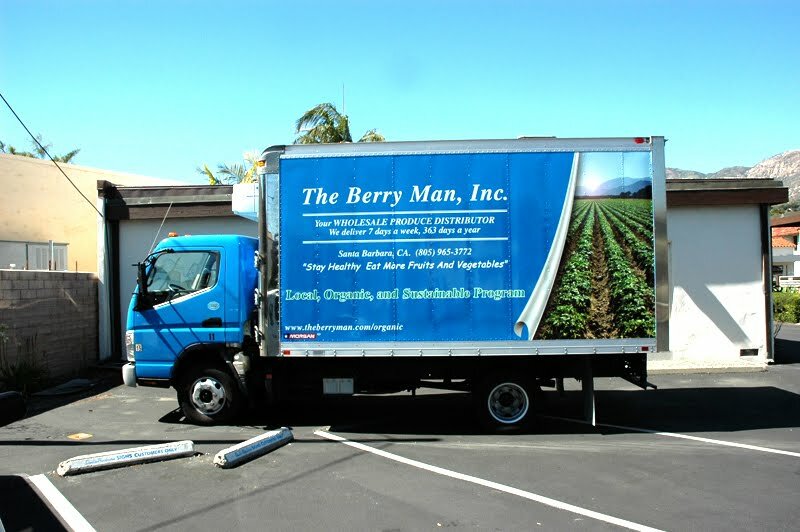 We would love to hear about your ideas for your vehicle, whether you want to do a full wrap, partial wrap, or just cut vinyl lettering; We can make it happen!